As part of Book Bloggers’ AIR Book Tours, I am pleased to review How Bees Came to Make Chili by Terry Bradley. Geared for younger children, this book features delightful illustrations by Patrick A. Siwik. Readers are introduced to members of a honey bee community led by Queen Larabee and her son, Prince Littlebee. The story begins with the Queen and her son checking out the new scouts and their flight training. Hot shot Nubbiebee was eager to show off, “his antennae tingling with excitement.” As the Prince cheers him on, Nubbiebee gets carried away showing off his skills with loop-de-loops and zigzags. 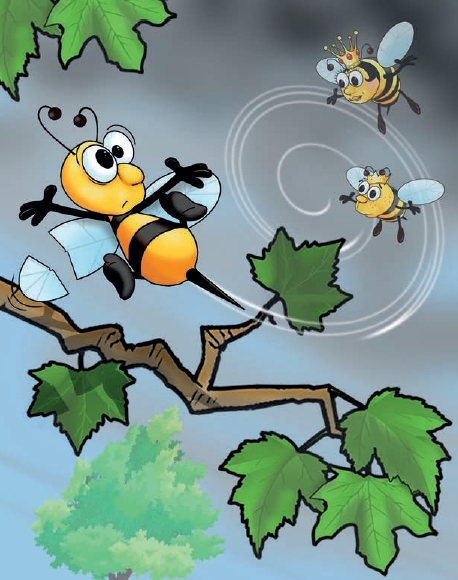 A sudden change in the breeze however, spells disaster as Nubbiebee crashed into a tree. His wing was clipped and in an instant, he loses the very skill that made him special. Working off of this premise, Bradley uses the story to show how the community of honey bees supports Nubbiebee in his struggle to find something new that will make him feel useful to the community. Urged to keep an open mind, Nubbiebee tries something completely different. Through consistent hard work, our worker bee finds a talent he never knew he had which delights all the bees and serves the community: he invents a new recipe. 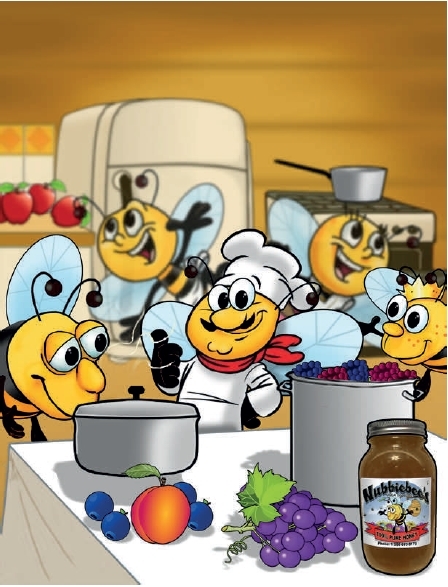 Thanks to good friends Jellibee and Charliebee, Nubbiebee creates a recipe for chili which is a hit with all the bees. Best of all, he learns how to do something great while unearthing hidden creativity. The premise of this story, to keep an open mind, take help and suggestions from others, and work hard to bring out the best in you, is exemplary. Bradley includes many lively descriptions which make the bees come to life. Even without the excellent illustrations, a child’s imagination will have no trouble picturing these likeable characters. I think the telling of the story could have been a little less straightforward. 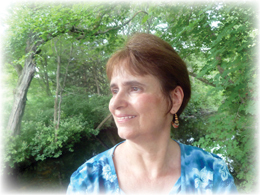 Instead of telling the reader through the dialog what was going to happen and why, I would have preferred that it was shown more through the actions of the characters, thereby letting the child come to the proper conclusion on his or her own. I was disappointed in the choice of type for this book considering how beautifully it is illustrated. As a graphic designer, I know that the right choice of type face can truly enhance a story. It may have been because my review copy was an Acrobat PDF file and the fonts might not have rendered correctly. Still, this lack of attention to the choice of type bothered me. There were also one or two typos in the text. Next Check out this mammoth bug! Can someone identify it for me?